When the medical people take down a thyroid without surgery they call the procedure an ablation. That’s what I have on my schedule for this afternoon. You know, I think I’d rather be handcuffed and hauled off to jail than have this done; hospitals are, without question, my least favorite places on the planet. Once at the hospital, I am to proceed to the Nuclear Medicine department where I’ll be treated with a dose of radioactive iodine. What form the dose will take is a mystery, I’ve heard it is commonly given as a pill and an IV and a drink. Whatever, I won’t enjoy it. 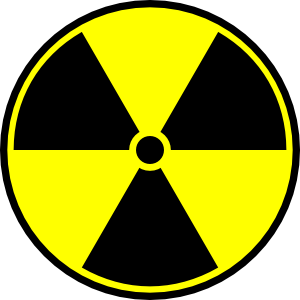 What I will do is become radioactive for five days and that freaks me out a little. Wait, that’s a lie, it freaks me out a lot. I don’t want to glow like a nightlight. I don’t, I don’t, I don’t. If radioactivity was good for you, heck, Three Mile Island and Chernobyl would be meccas for the sick and lame, like Lourdes. But they’re not, are they? No, they’re desolate, abandoned, uninhabitable wastelands. And isn’t ‘nuclear medicine’ an oxymoron, like civil disobedience? Think about it. Now, should the tech who administers the radioactive medicine be wearing a Hazmat suit or a lead apron, I’m out of there. I mean, if they’re unwilling to even handle the stuff, I seriously question the magical healing properties. Wouldn’t you? Even though they say thyroid tissue is the only tissue in the body able to absorb the iodine. Still, yikes! Then, too, there’s a fair chance it will take more than one try to effectively shut down my thyroid. I might get to do this all over again in a couple of months. But only if they can catch me — nert nert nert. In the meantime, should you notice a faint glow in the northern night sky, don’t worry. It’s only me. Good luck! You’ll be fine – I am sure that a the green glow will be becoming. Just think of how many aliens will be knocking on your door. (My mom had this done several years ago – she wasn’t thrilled about it either – who would be? But it made her a lot better. Thanks, home tome, I appreciate your good wishes. In my head I know this will be nothing, but in my heart I just dread it. It’s the unknown. I’m so glad you stopped by. Hang in there Lisa! You’ll be okay. I know several people who’ve had this done and they’re fine. Really truly. And think of all the wonderful compliments you’ll get afterwards: “My Lisa, you look absolutely RADIANT today!” It’ll be great. phew! That’s wonderful to hear, Jo. Especially the part about looking radiant — what a great way to look at it. I’m so happy you visited, thanks for the boost, my friend. I laughed at this post… then I felt bad for laughing because it sounds bad. I was thinking if it does turn out that you have a bad reaction to the radio active stuff the you could be the next ben 10… How awesome would that be? On a serious note tho, I pray that all will go well – I like your blog. Hi, lukraakvars, welcome to publikworks! It’s great to have you. That would be awesome, you’re right. Thanks so much for stopping in and for liking the blog. I hope to see you around often. Im just starting out with the blog thing, yours is awesome. Really funny and really unique. Love it. I’d probably comment on all you’re posts haha. You’ll love the blog thing, Liezel. It’s great fun and you meet such interesting people. I’m looking forward to your comments, they’re so original! Hi, celi! I’m with both of you — I’d much prefer being radiant to glowing. Much. But i’d be happy with neither, to be honest. I doubt if a computer is allowed, but I’ll do my very best to post an update by tomorrow at the latest. Promise. It will make a great post. I’m not that insensitive. It will go well. Really. And it will make a great post. Hi, clown on fire! How are things with you? I hope it makes a great post, I think. If nothing special or interesting happens that would be fine, but mighty dull reading. I don’t know which one to hope for. Maybe a little of both? I guess I’ll find out in a couple of hours. Yikes! Like Liezel, I laughed, and then I felt bad for laughing. I blame your excellent sense of humor – even when radiation is involved. I cannot tell a lie – I’d have an upset stomach from the day I learned about the procedure until it was completed. May this be a ‘one and done’ for you. If you laughed, then there’s nothing to be afraid of. At least that’s the way i’ve always looked at it. So thanks, LD and Liezel. Checking in to see how things went, Lisa. First things first, did you manage to stop by Taco Bell? I hope the procedure was quick, easy and relatively painless. And, I hope the after effects are better than expected. Gosh, you’re such a pal, LD, thanks for checking. I was so relieved it was finally over that I skipped Taco Bell and came straight home. I made myself a reuben, instead. It was better than tacos, I think. So far I feel perfectly fine. No stomach problems or sore throat or anything. All medical procedures should be this simple and painless. I just hope it works! Full details in tomorrow’s post. You have a peaceful night, my friend. Now you can check that off your bucket list. Becoming glow in the dark, I imagine you are making thousands super jealous with that ability. I bet that even qualifies you are a super hero. The super ability to glow in the dark. I can read in bed without turning on a light, too — add that to my super powers. Super energy saver! Thanks for the chuckle, nc.